Picture this: You’re a very busy student and you wake up early every day to commute to school. After a few hours of being in class, it’s time for lunch break. During your break, you’ll be talking to your mom over video call because she is in a different country. Once your classes are over, you head on straight to the money transfer center to fall in line. And then you go to the market to buy your dinner along with your grandmother’s. The moment you are home, you prepare your grandmother’s dinner and then you’ll finish up on the household chores. After all these, you start on your homework and then you’ll go to bed by 11PM. Isn’t this routine a bit tiring? What if there was a way to make it better? To make your day go by without the hassle of having to run immediately to money transfer centers? What if you can have more time for yourself? Good thing there’s Paycent, a Singapore-based product with a mission to be the global leader for complete mobile and cashless transactions. We offer users a secure and convenient digital payment platform so you can shop, send and receive money, and pay bills without using cash or credit cards. 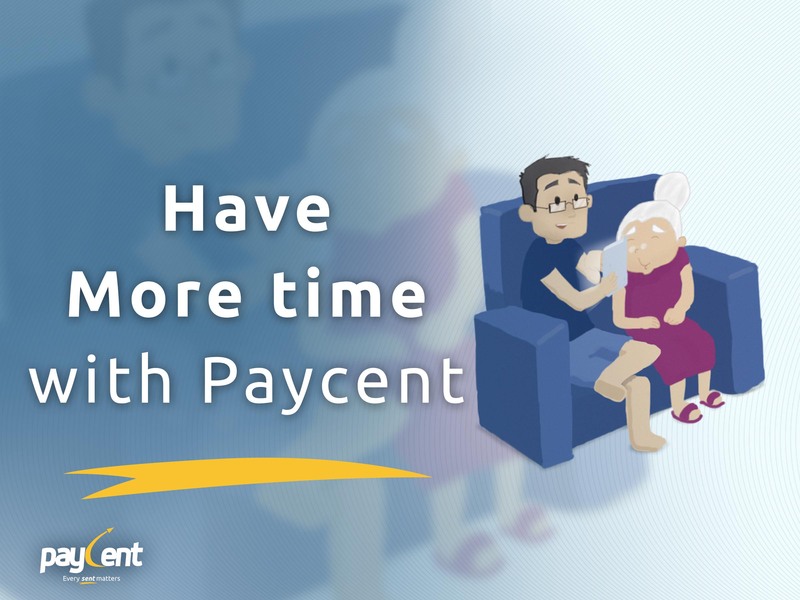 Paycent aims to make situations like this easier. With this kind of app, you don’t have to run to money transfer centers and have less time for the things you need to do for the day. With Paycent, you can send and receive funds with just a few swipes. Less hassle and no more worries. You don’t have to be in a hurry. You don’t have to stay up late for homework and chores because you can start it early. You can now have more time to bond with your family. Also check out how Paycent helps everyday moms here.